Sherlock Holmes and Dr. John Watson's adventures in 21st Century London. A thrilling, funny, fast-paced contemporary reimagining of the Arthur Conan Doyle classic. 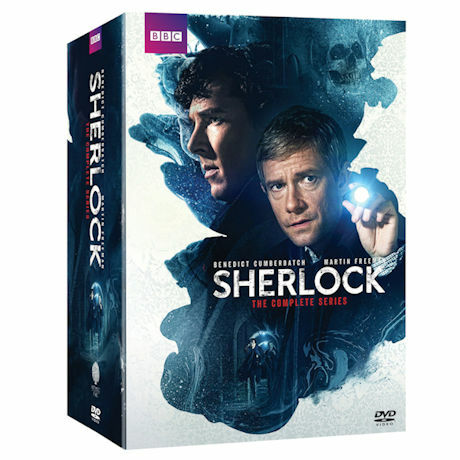 Now, for the first time, all 4 seasons and The Abominable Bride Special have been collected together. 19 1/2 hrs, 9 DVDs or Blu-ray discs.